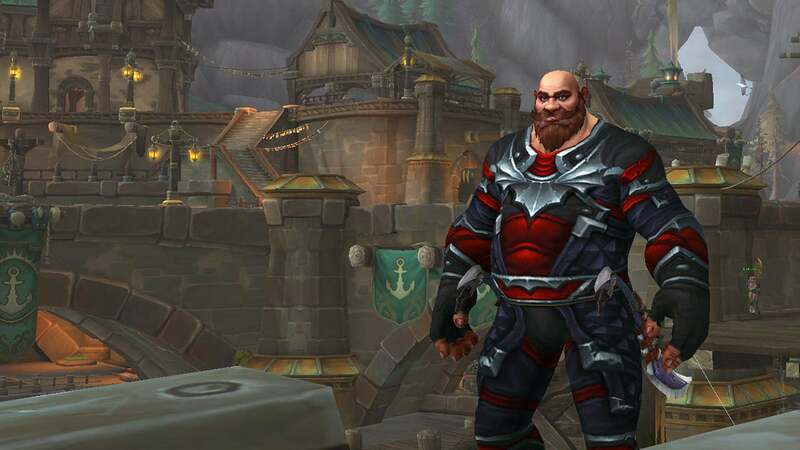 After 14 years of playing either a svelte living human or an incredibly skinny dead one, World of Warcraft finally lets me be me—a large bald man with a beard. Update 8.1.5 adds Kul Tiran humans as an allied Alliance race, and that makes me a big, happy lad. 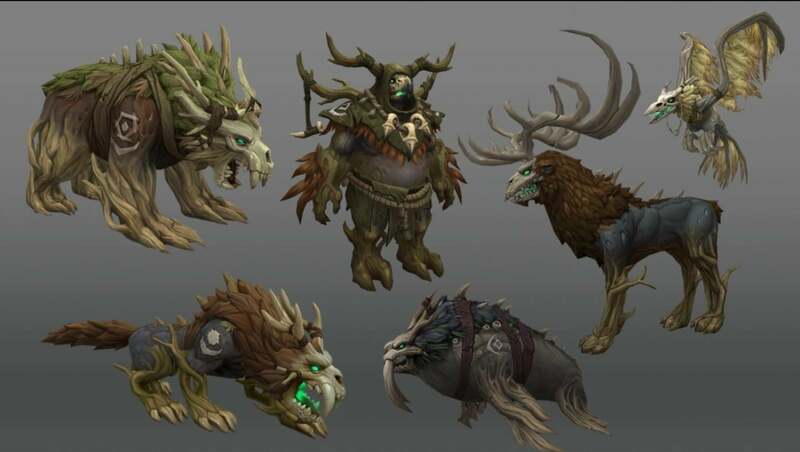 Allied races, introduced in the lead-up to World of Warcraft’s Battle for Azeroth expansion, are offshoots of the game’s main selection of playable races. 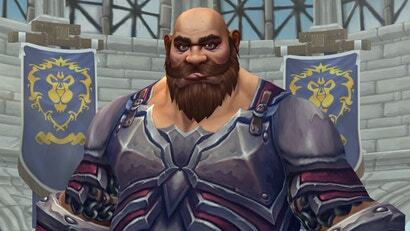 The Dark Iron dwarves are a sub-race of dwarves with unique colouring and special racial abilities. Mag’har orcs look like normal orcs, only instead of greenish hues, their colouring runs reddish brown to black. Today’s new Horde allied race, the Zandalari trolls, includes male trolls who stand upright instead of hunched over. And then there are the Kul Tiran humans, my people. They’re bulkier than elves and much bulkier than undead, but pretty basic. Such basic humans wouldn’t last ten minutes in Kul Tiras—a string of islands battered by the sea and pulsing with powerful natural magic, such a hearty land creates hearty folk. Taller folk. Broader folk. A folk not afraid to put on a little extra muscle and fat to better weather the elements. Kul Tiran humans tower above regular people. Their frames are larger. Their bones are bigger. I know those feels. I’ve been 6’6” since I was 12 years old. When I was 14 I had to have my jaw broken and reset because it was growing too big. My forehead juts like a Geico commercial caveman. I will never be a small, lean-muscled human of any sort. But this, this is attainable. It’s not an ideal way to realise a character I can identify with. 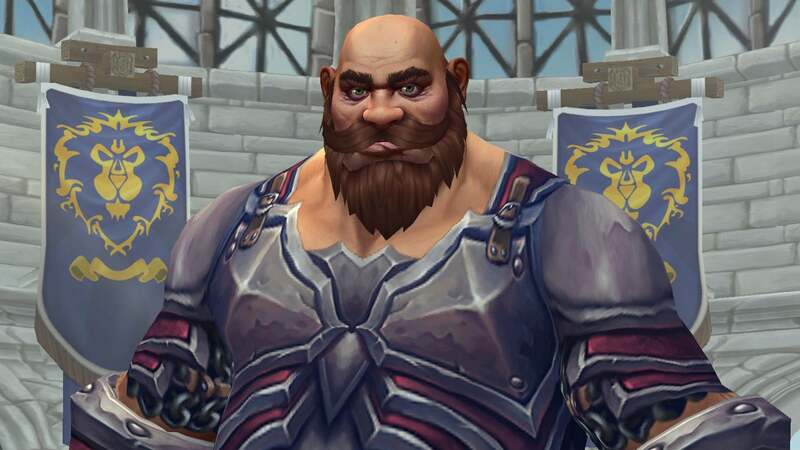 It’s odd that the only way to be larger and girthier than average in World of Warcraft requires grinding faction for weeks and completing quests in order to unlock a special allied race. Once I am done getting my Proudmoore Admiralty faction to exalted it will be the most effort I’ve ever put into gaining weight. Also, Blizzard needs to add wheelchairs as an in-game battle mount. It's annoying that the only playable Kul Tirans are the fat ones. Medium and skinny sizes are prolific amongst the NPCs (I believe they may in fact be in the majority), but players only get the fat option. It's annoying. Especially since it's the first human druid. Shout-out to Terry Pratchett's Silver Horde and Mad Hamish. It's a bit disappointing that with all the customization (hair, eyes, face, tattoos, etc) they didn't give us a bit of variation in size. You'd think the tech would be there to scale effectively from short-all and skinny-fat. 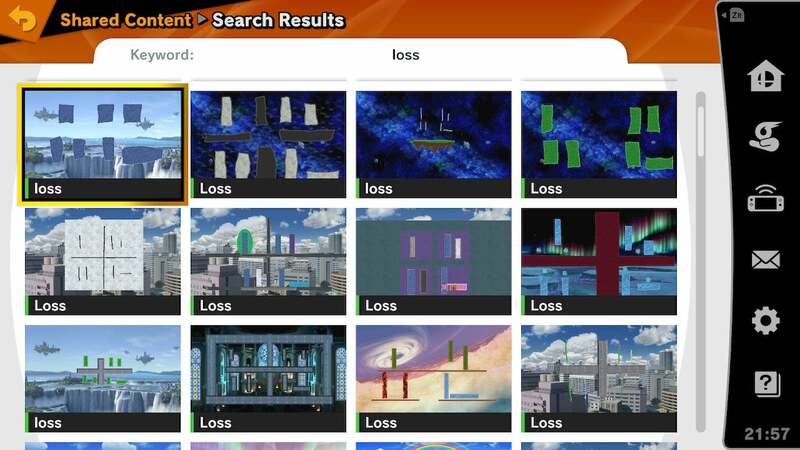 Im a bit dissapointed... I wanted to be the tall lanky KulTirans... or allow normal humans to be Druids. I like looking lean and smashing in my transmogs. Now normally I couldn't care less about people wanting niche specific representations. it doesn't appeal to me so I'm not bothered to even read articles about it. this though. this speaks to me. it's amusing which is probably why. Now to balance it out we just need ogres for the Horde. And allow gnomes to be druids. All classes for all races. The little runts already want to be paladins, an affront to both The Light and common decency! How many classes must be debased by allowing gnomish perversion into their ranks? CHUNKY HUMANS!!!!!! this is what i wanted at BFA Launch. this is the most fun ive had with BFA since launch. I LOVE MY KT!